In this blog post, I’m going to look at the place of the Cardinality Estimation Process in the whole Optimization Process. We’ll see some internals, that will show us, why the Query Optimizer is so sensitive to the cardinality estimation. 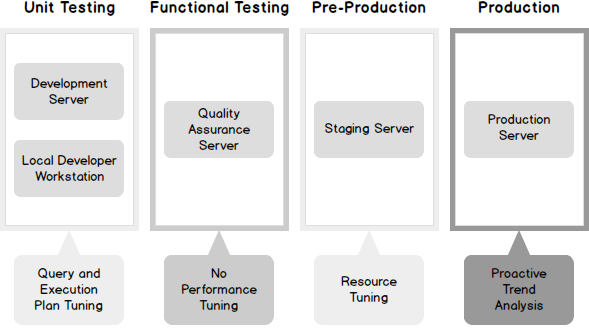 To understand that we should observe the main steps that a server performs when the query is sent for execution. Below you may see the picture of the general plan-building process in SQL Server from the moment when a server receives a query till the storage engine is ready to retrieve the data. Take a quick look first, and next I’ll provide explanations. 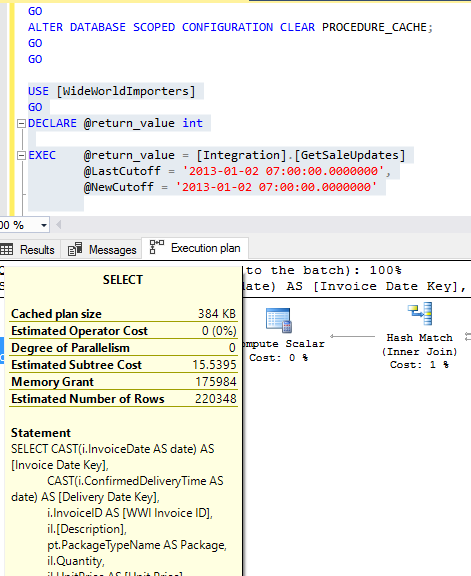 This post opens a series of blog posts dedicated to my observations of the new cardinality estimator in SQL Server 2014. But, before we jump to the new features, I’d like to provide some background, to make the next posts clearer. We’ll start by discussing the role of Cardinality Estimation in SQL Server, trying to answer – what is it and why it is needed. 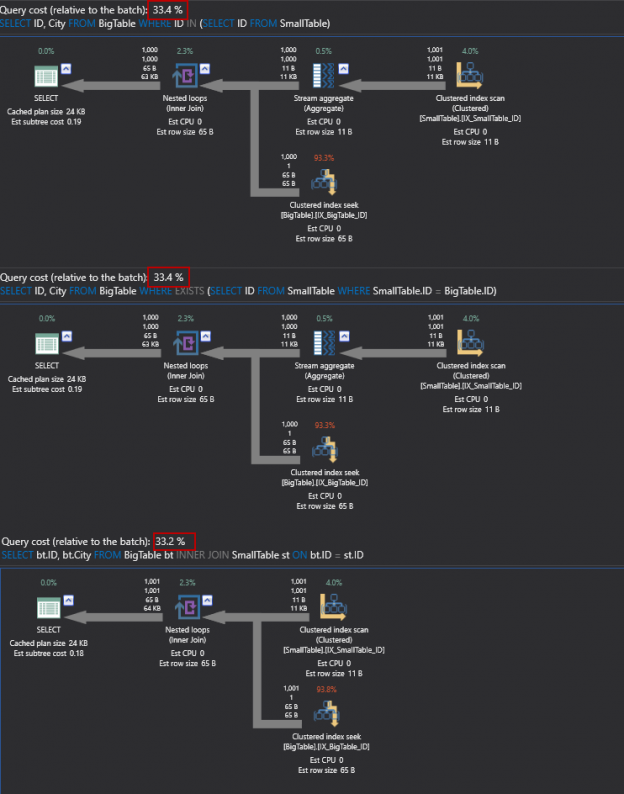 We have discussed how to created estimated execution plans and actual execution plans in various formats in my previous article SQL Server Query Execution Plan for beginners – Types and Options. In this article we will continue discussing the various execution plan operators related to clustered indexes, and what they do, when do they appear and what happens when they do. Quite often developers put the responsibility of the server performance on the shoulders of DBAs. But to be honest, as a developer, it is your responsibility to write code which is efficient and optimal. However, when writing code, the developer often lacks the knowledge and/or experience about SQL Server to meet this requirement. In this series, I will be discussing various aspects of query designing, keeping performance and scalability in mind. We will be addressing the most common concepts which we often see that negatively impact SQL code written by developers. It is a common misconception that you need real production data, or production like data, to effectively tune queries in SQL Server. I am going to explain how you can compile the same execution plans as what your production environment would compile, so that you can tune them in a non-production environment, gaining these benefits. Slow running queries are one of the most common problems in every organization dealing with huge amounts of data. And the most challenging problem, in almost all the clients, I work with, is how to find the queries running slow and figuring out what is the actual cause behind the performance problem. Thankfully, the solution, in most cases, is simple. 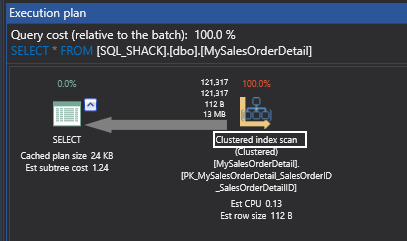 I recently did some research to analyze skewed data distribution in SQL Server. This article is the outcome of my analysis to share with SQL Server community. 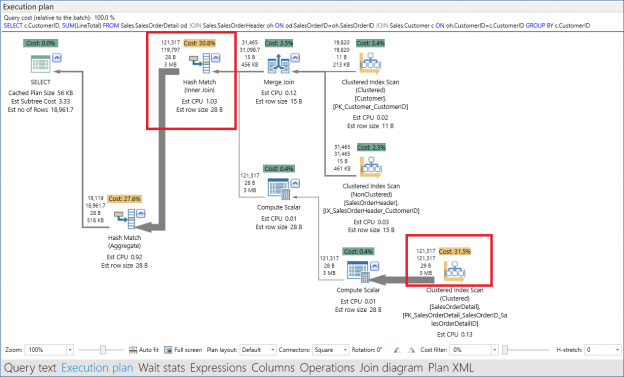 SQL Server understands its data distribution using statistics. The SQL Server query optimizer then uses the statistics to calculate estimated row counts when executing the queries submitted by users. The accuracy of estimated row count is crucial to get optimal execution plans. 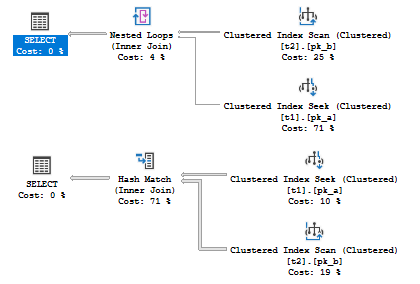 The SQL Server query optimizer is a complex mathematical component and it does a decent job to create better execution plans during a very short period of time. Performance tuning is one of the most important and critical tasks that the SQL Server Database Administrator performs on a daily basis to keep a SQL Server running in a healthy state, by identifying the performance bottlenecks and fixing the main cause of these problems. The TOP keyword in SQL Server is a non-ANSI standard expression to limit query results to some set of pre-specified rows. As an argument, it takes 0 to positive Bigint (9223372036854775807) and anything beyond or less gives an error message. TOP without an order by clause, in production, seems buggy because it can produce results in any order depending on the current schema and execution plan. You can also specify a percent with TOP expression which returns only the expression percent of rows from the result set. Float expressions used in TOP percent are rounded up to the next integer value. When you run a query in SQL Server, the SQL Server Query Optimizer will draw the road map for that query, specifying the optimal way to execute it, which is called the query execution plan. Generating the execution plan will take few milliseconds from the CPU cycles, which is negligible for one query or small load, but it will be considerable for a very heavy transactional workload. Because of this, SQL Server caches these generated plans in a special type of memory called the Plan Cache to eliminate the overhead generated by the query plan if the same query is executed again. When you submit your query to the SQL Server Engine, it will search in the plan cache if there is any existing execution plan that can be reused, if an available execution plan is found in the plan cache, the plan will be used to execute that query, otherwise, the SQL Server Query Optimizer will create a new plan and keep it in the plan cache for future use. 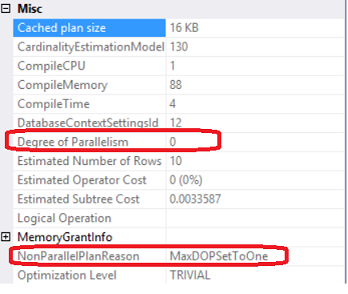 In this article, we will go through the different ways to set the Max Degree of Parallelism option. Before doing that, it is helpful to understand the concept of parallelism, how it works and what the MSXDOP is. A SQL Server execution plan is the most efficient and least cost road map that is generated by the Query Optimizer’s algorithms calculations to execute the submitted T-SQL query. Execution plans are used by the database administrators to troubleshoot the performance of poorly performing queries to isolate the part of the query that is at the root of the performance issue. The Cardinality Estimator is a SQL Server Query Processor component that is responsible for predicting the number of rows that the query will return. This estimation of the number of rows in addition to the SQL Server statistics will be used by the SQL Server Query Optimizer to create the optimal and the most accurate execution plan for your query that has the lowest processing cost to execute. 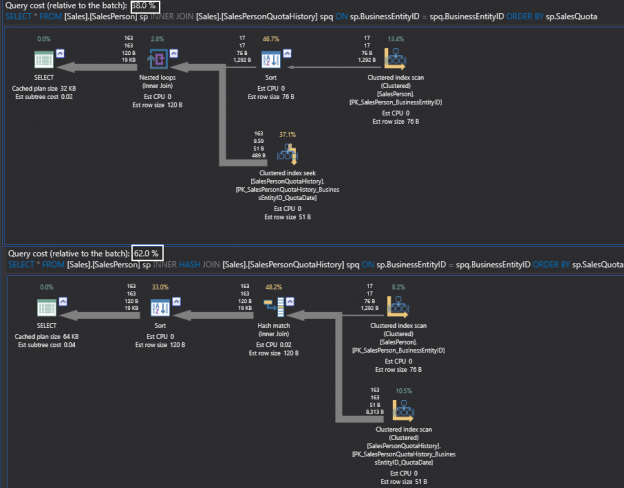 SQL Server tries always to generate the most optimized execution plan for each stored procedure the first time that the stored procedure is executed. The SQL Server Engine looks at the stored procedure passed parameter values when compiling the stored procedure, the first execution, in order to create the optimal plan including the parameters and keep that plan for future use in the plan cache. This parameter analysis process is called the Parameter Sniffing. Whenever a query is executed in SQL Server, its execution plan, as well as some useful execution data are placed into the plan cache for future use. This information is a treasure trove of metrics that can allow some very useful insight into your server’s performance and resource consumption. Much of this information would be difficult or impossible to acquire otherwise. Understanding how to access and use the metadata about query execution will provide us the tools we need to answer questions about our server and gain fascinating performance data. I’ve found myself spending more and more time writing, tweaking, and using queries against the plan cache lately and look forward to sharing these adventures with you!